One of the main factors affecting autonomy in children with disabilities is parents’ behaviors. Understanding parents’ behaviors is important for their effects over time. However, measuring and quantifying parents’ behaviors through ubiquitous technology has remained largely unexplored. In this work, we use mobile sensing to monitor behaviors in parents of individuals with Down syndrome. Through our approach, we identified some behaviors that have been reported to be associated with directive and facilitating behaviors of mothers of children with Down syndrome. We also discuss how this mobile sensing-based approach can be used as a supplementary technique to enhance behavioral analysis with these types of populations. 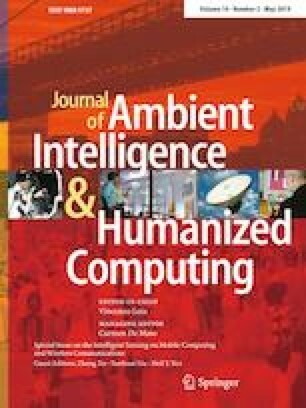 This work offers a promising approach for deploying mobile sensing technology for advancing research in this area. This work has been partially funded by the National Council for Science and Technology (CONACYT) in Mexico through a scholarship provided to the second author. Also, this work has been partially funded by the Instituto Tecnológico de Sonora (ITSON) through the PROFAPI program.